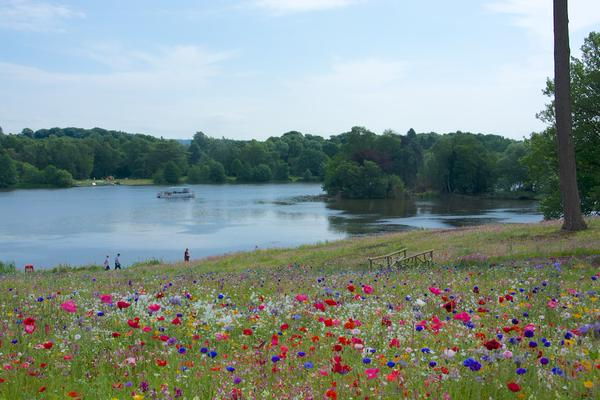 As an iconic Capability Brown landscape, The Trentham Estate brought in Professor Nigel Dunnett to carry out design and consultation works ahead of the planned year of celebrations in 2016 to celebrate Brown’s tercentenary. 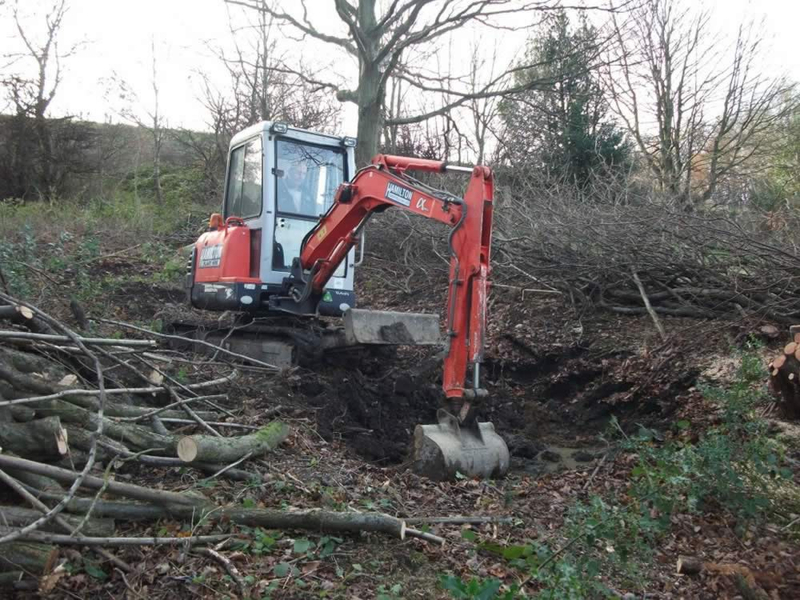 These works identified clearing large areas of woodland and diseased Rhododendrons to put in new contemporary planting. 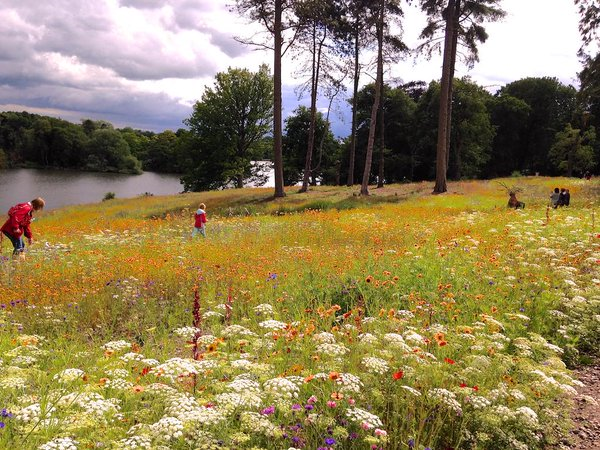 Approximately 9,000 square metres of open spaces were created by these clearances, giving the perfect opportunity to use Pictorial Meadows on a larger scale. 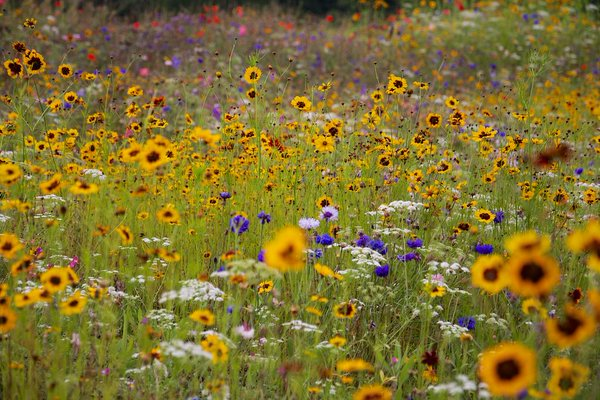 The ground was prepared and PM Classic mix was sown by the Pictorial Meadows specialist teams in the spring of 2015 and soon filled the cleared area with an astonishing 7000m² of high impact displays right through until the first frosts. 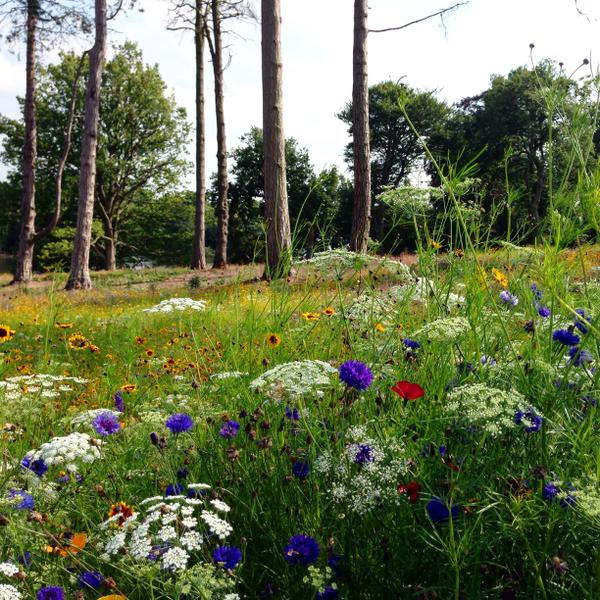 The feedback from the thousands of visitors to the Estate was nothing short of amazing and attracted very positive PR for Trentham from BBC coverage. Closer to home, we like to be involved in traditional conservation management. Carbrook Ravine is a small but varied nature reserve managed by Sheffield Wildlife Trust. Nestled amongst the urban landscape it used to form part of an extensive 16.2 hectare deer park for the gentry of Sheffield. Although there are no deer now, there is plenty of wildlife and it is home to a wide range of threatened species like Skylark, Song Thrush, and Bluebell. The locally rare golden male fern also grows in this nationally important wet woodland area, while ash, maple, aspen, sycamore and hazel can be found in the species-rich north west of the site. 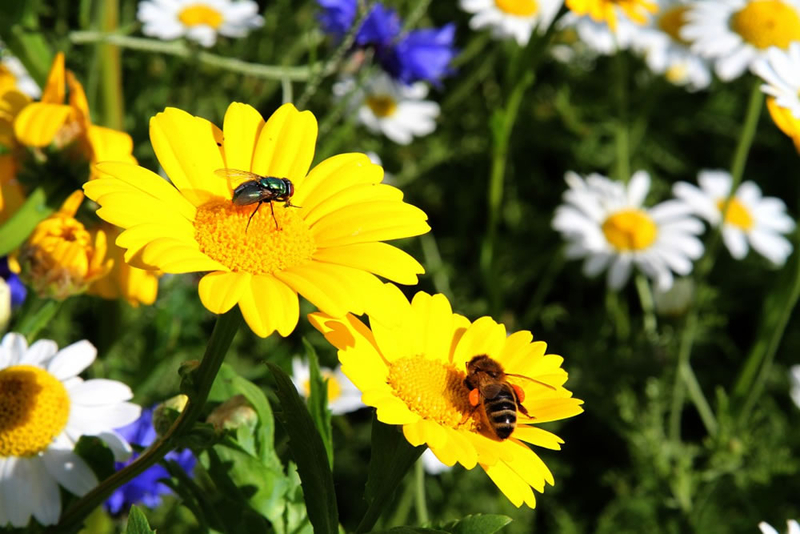 The Meadow Care Team applies the same principles of encouraging species diversity through timely management. 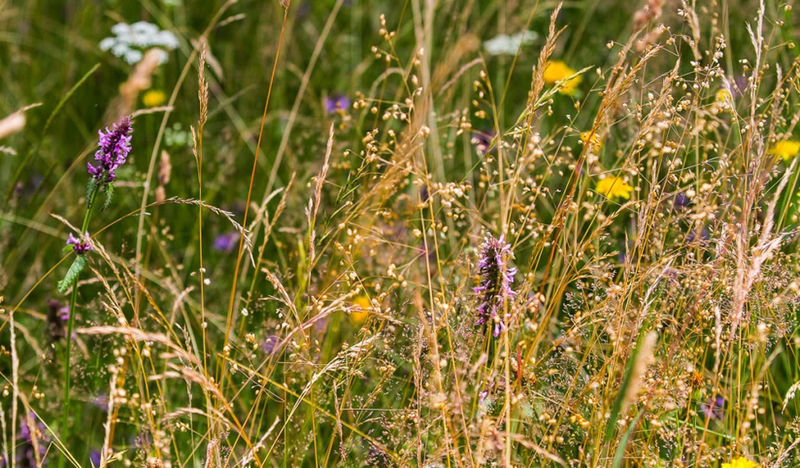 For the past 10 years, we have focused on building up the population of Yellow Rattle and reducing the grass vigour through the management of the annual meadow cut. Over the years we’ve done a lot of work to revitalise conservation ponds and wetlands. 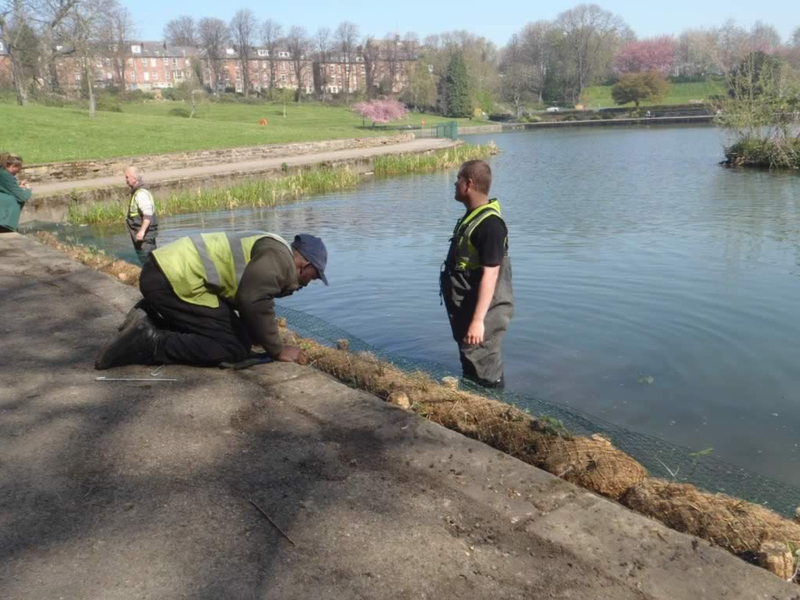 We have both the trained staff and specialist equipment required for this very important work – in fact we are now virtually semi-aquatic! 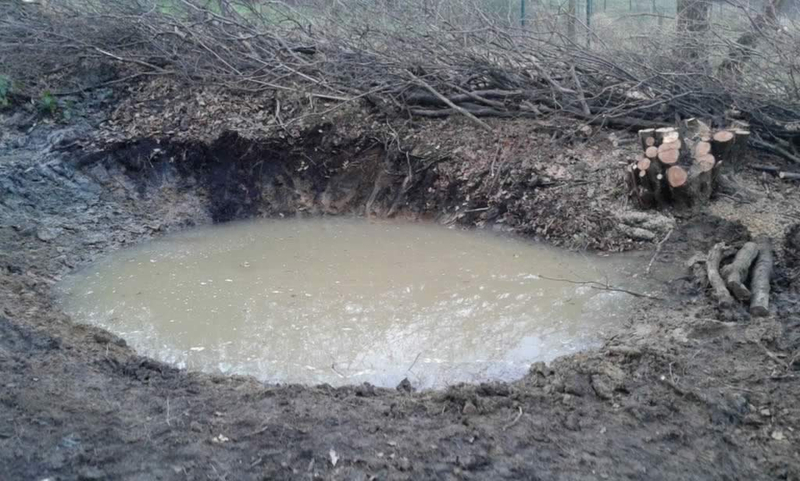 One of our latest clients was the charity Froglife for whom we worked to create a thriving matrix of small and diverse watery habitats for our threatened amphibians across South Yorkshire. As always these sites are sensitive and need a multi-skilled approach, so it was great to be able to offer everything from initial survey and project planning through to provision of plant and personnel to sensitively clear encroaching vegetation, dredge and redistribute the silt and translocate the resulting wetland edge material afterwards.